Rose Quartz is one of the most popular crystals for both healing and jewelry,as well as Feng Shui. Famous for attracting and keeping love,Rose Quartz is also used when it comes to healing one’s heart from pain and disappointment. 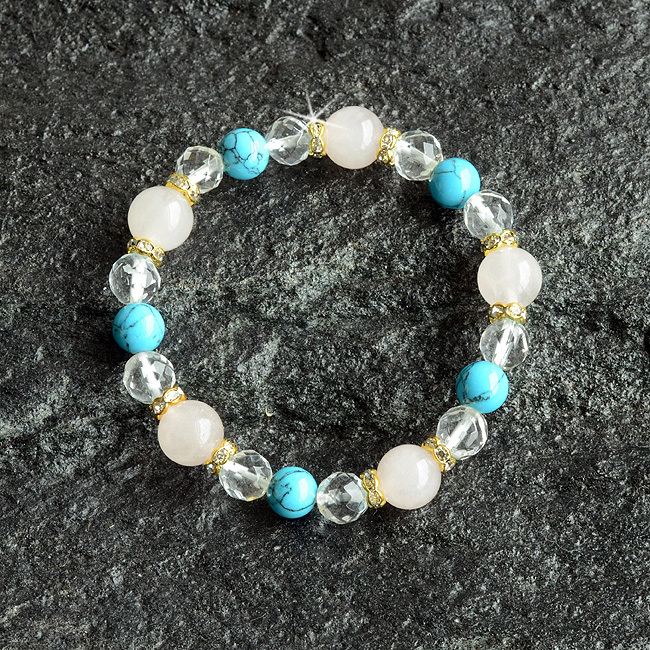 Based on beautiful pale pink Rose Quartz the bracelet comes with Turquoise or Rose Quartz with Carnelian. 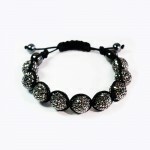 A cool statement at any time of day or night which will make you proud to wear or give as a present. 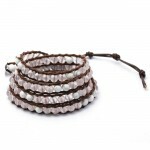 This bracelet matches readily with bold colors and also makes a statement as a piece of jewelry. One size fits all.Easy to put on and easy to take off. 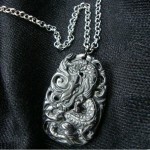 It’s symbolic and stylish! 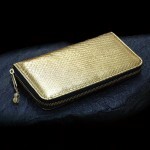 Works beautifully for all sorts of occasions,from a trip to the beach to something more formal! Not only does it raise yourself worth,but it helps to keep you looking younger and livelier. Rose Quartz is the stone of universal love.It restores trust and harmony in relationships, encouraging unconditional love. Carnelian is positive,focuses energy extremely well and is often recommended for meditation and wearing for healing. 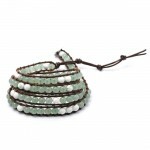 Turquoise has always been known as a symbol for development,prosperity and protection from forces of evil and disease.